Anubhav Gupta has done basic education from public school and graduation in IT field. He is heading an IT company in Dehradun since 2000. Website designing is a technology through which websites are developed. Whatever websites are there now, are seen both on computers & phones. There was a time when websites were made only for computers, but now it is made for everything like tablets, laptops and desktops. "I have completed my graduation in IT field and has been heading an IT Company in Dehradun since 2000." Digital Marketing is not only a very new and upcoming industry but also one that is growing at an extremely fast pace. It is a field that I would highly recommend one to pursue. There was a time when we only came across Marketing and Advertising, either in our newspapers or on the Television, both of which are offline forms of the same. However, today even Digital Marketing, which is an online medium of Marketing and Advertising, has gained recognition. 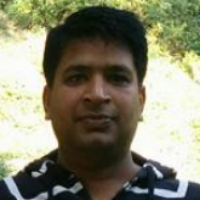 "I have been heading an IT Company in Dehradun since the year 2000, after my graduation in the IT field. However, I have been working in the field of Digital Marketing specifically since the year 2012."